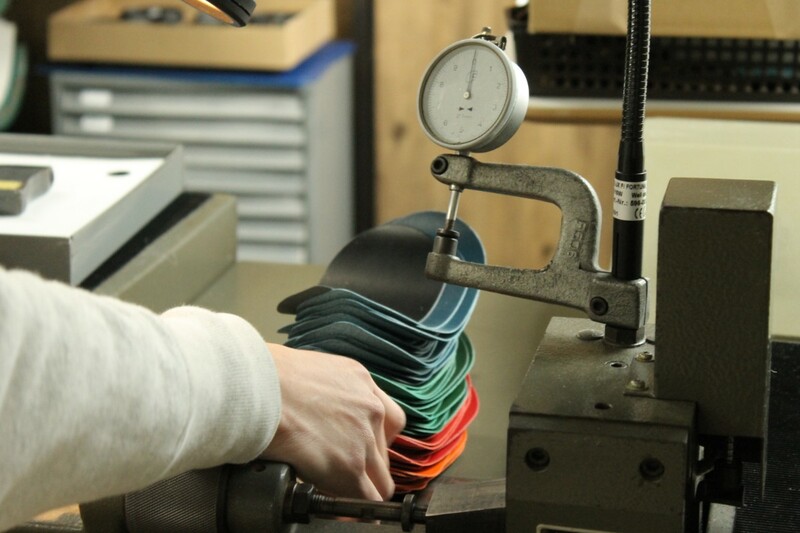 At the atelier, our craftspeople are making our standard products while preparing for the new products. And today, we will introduce some scenes from the production of coin purse Undo series. 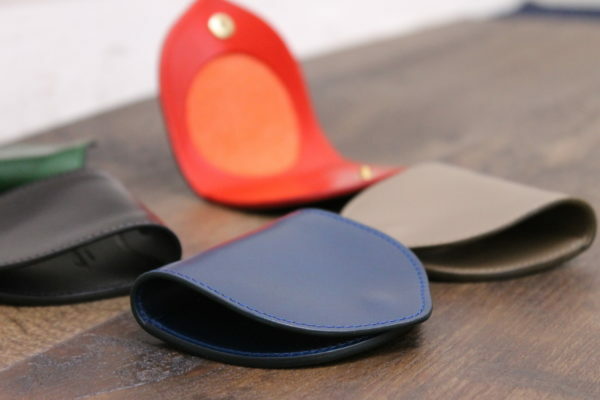 The biggest feature of this coin purse is that the leather will get extended when it becomes soft and the patina develops as well. 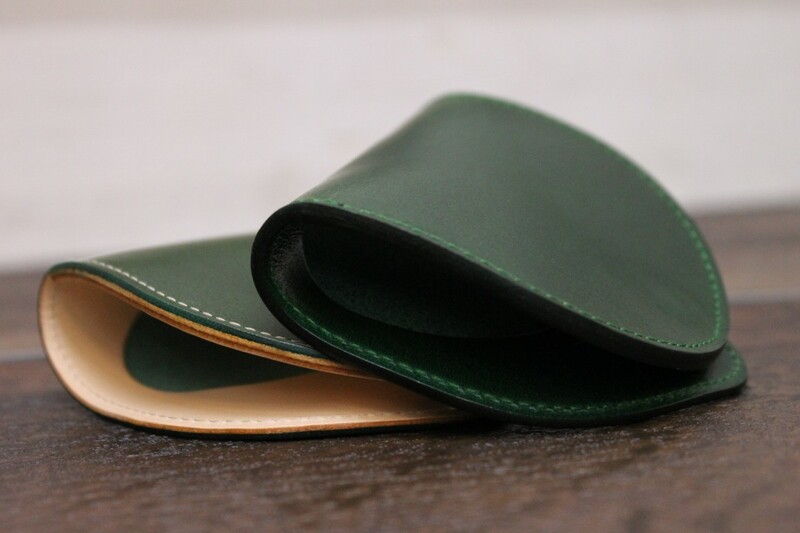 Leathers can change its texture depending on how you’d use and fit you little by little. 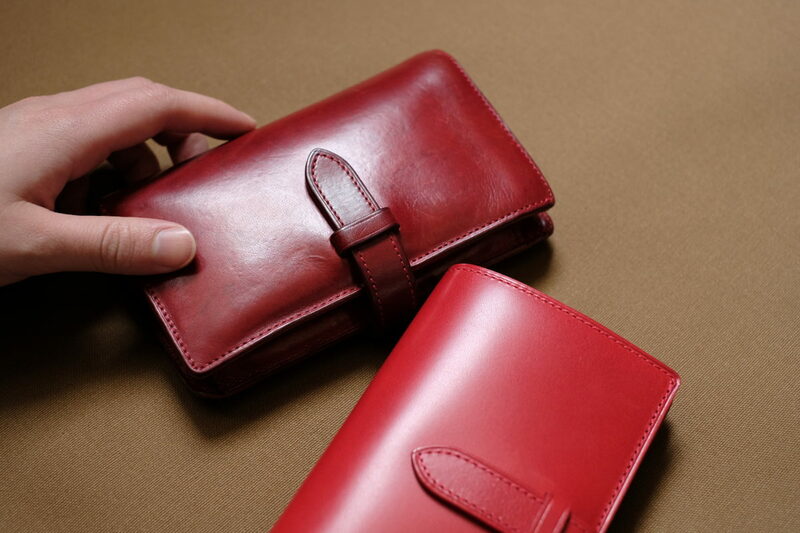 For long-term use and enjoying the leather aging, the products need to be tough enough to be used as a daily tool. 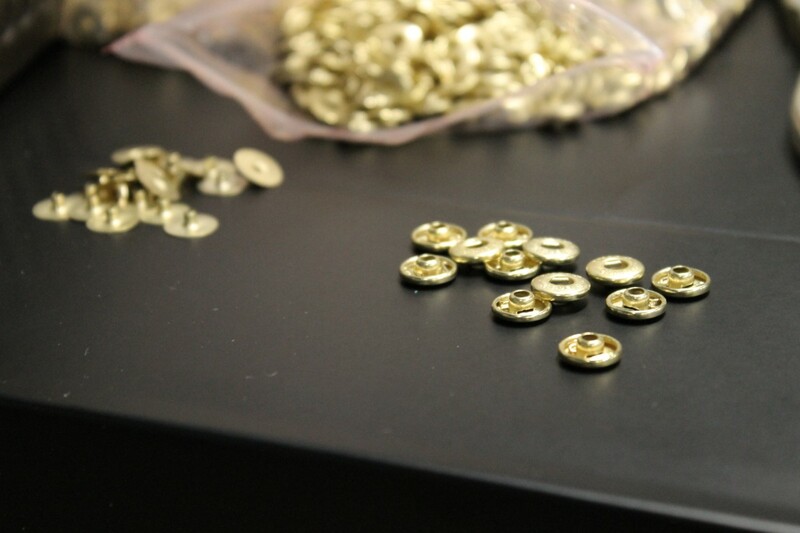 The craftspeople work carefully in many processes and attaching the button is one of them. 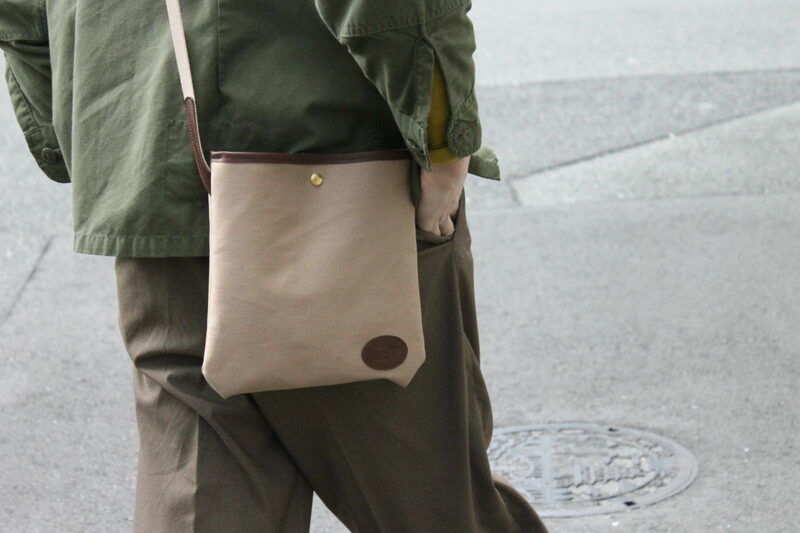 This button is the only metal piece used in the coin purse Undo series. The work seems to be simple but after checking the direction, they’re putting the buttons very carefully. If either the front or the back side of the button wasn’t attached straight, it will deteriorate slightly fast when opening and closing. It can be used long when the hook is attached in the same direction and fits properly. 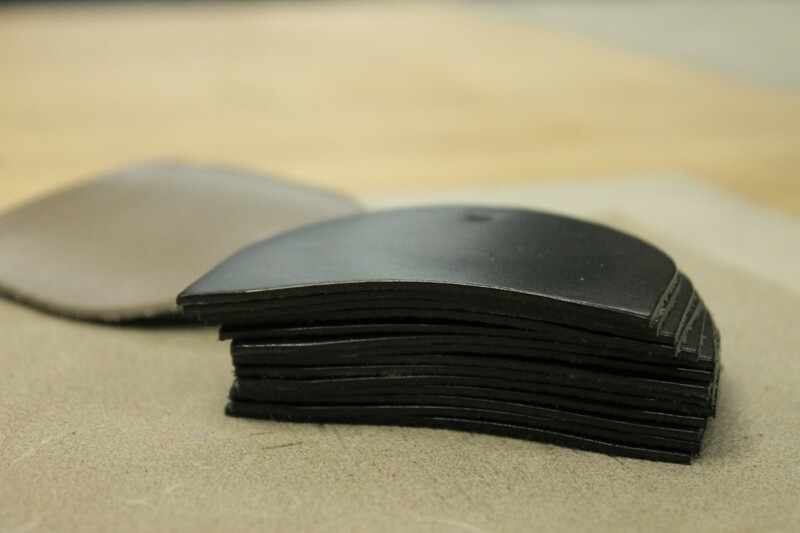 Where the leather overlaps, each leather will be skived to reduce and uniform the thickness. 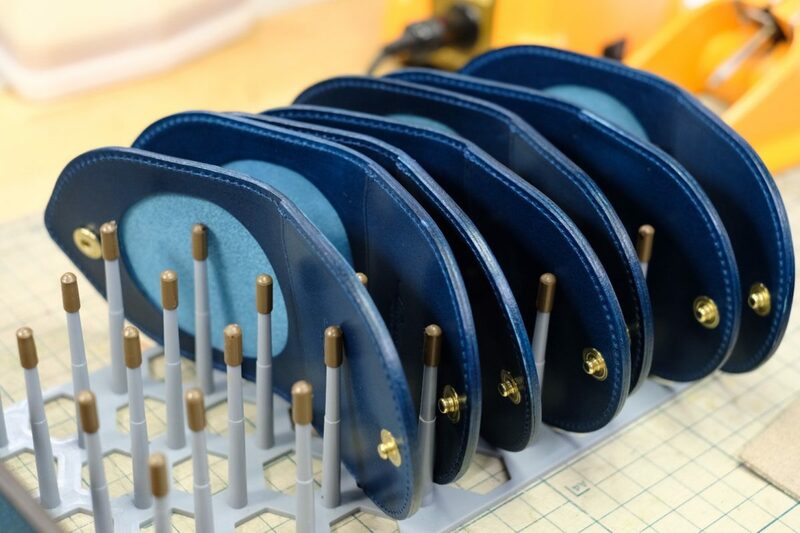 When they’re working on the coin purse Undo series which has an impressive round design, the difficulty of skiving is higher than a straight line. Thus the craftspeople need to be careful when working on leathers. “To be thin and compact” and “having enough strength” seems to be two different features, but it’s an important work to achieve these features. 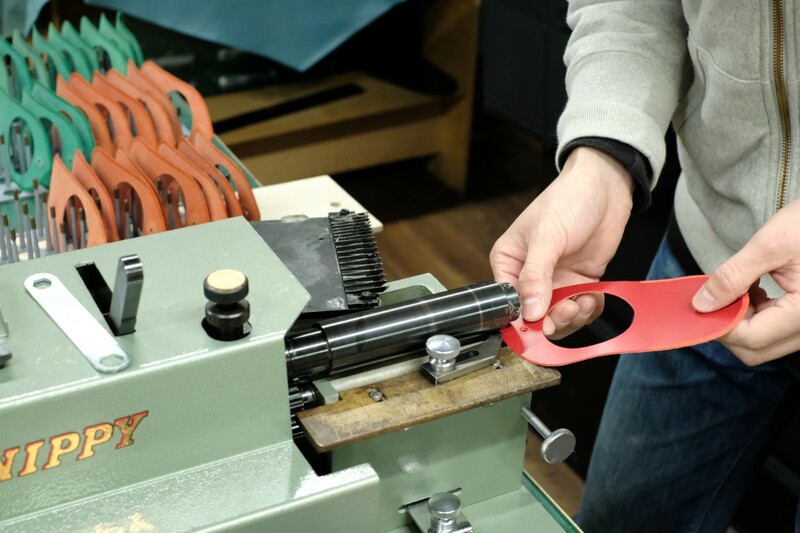 Last year the atelier adopted a gluing machine. Before, they were gluing by hand each but since then, their work has been improved dramatically. We always try to look for anything we can do to improve our work efficiently. 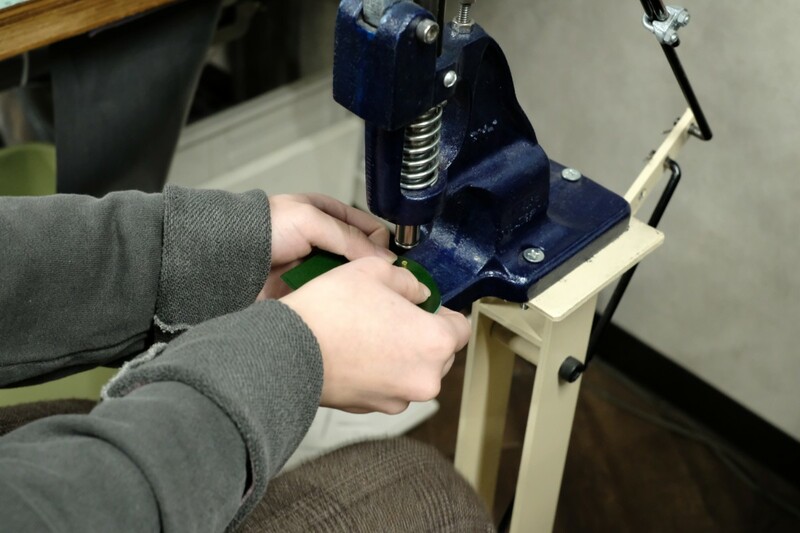 We can say that, to master using the machines in the atelier is one of their important tasks. 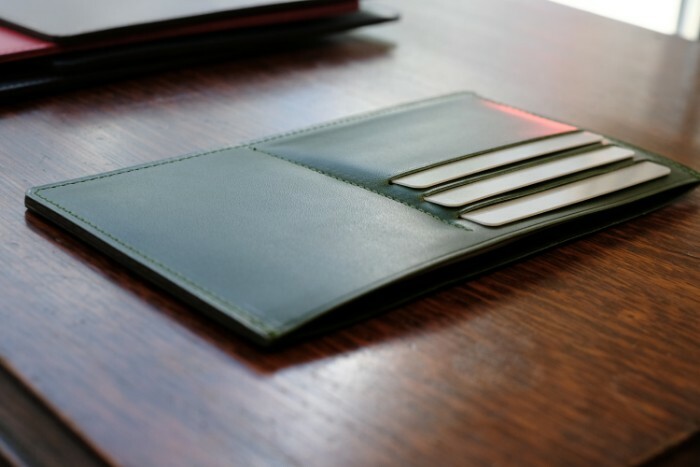 The products what Munekawa makes are something you can feel the quality after long term use. Therefore, we make our products carefully in all of the processes. 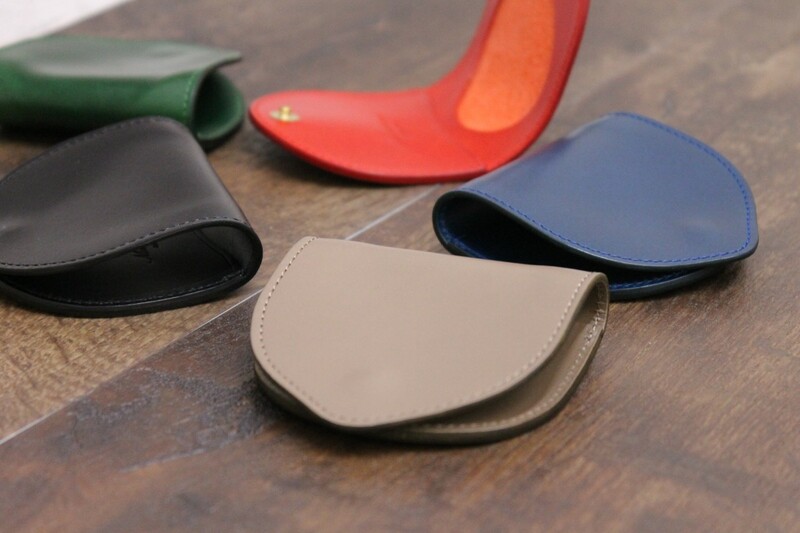 Select your favorite color and we hope you’d enjoy how the color changes deeply every day.